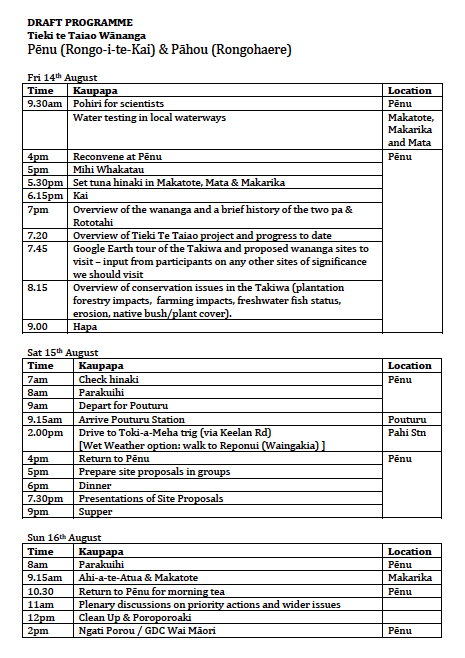 Lock in the dates for our final two conservation and cultural mapping wananga in October and November. 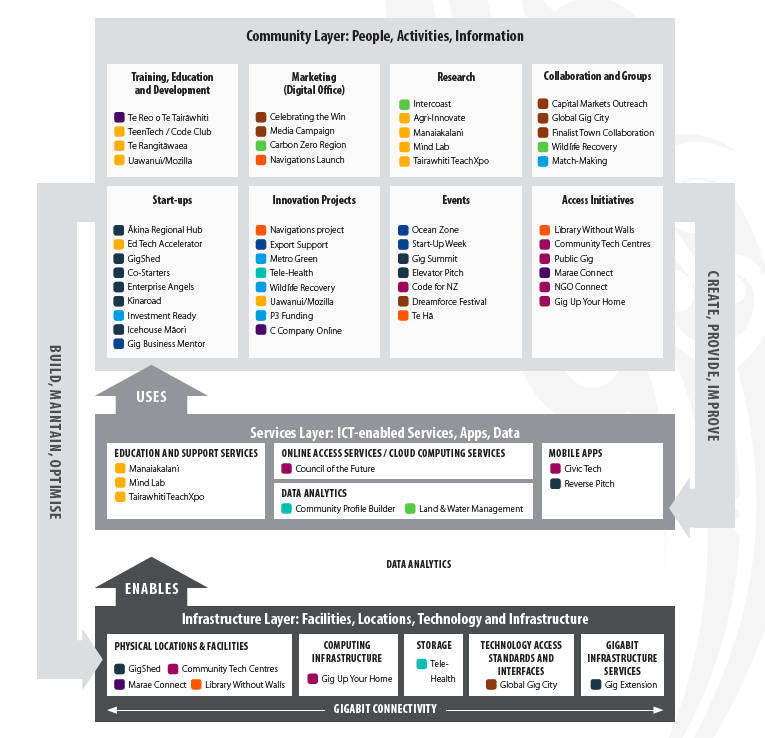 Hikurangi Takiwa Trust is hosting a hui 10.30am-12pm on Monday 31st August at Kariaka Pa for East Coast residents and businesses to discuss digital capability development opportunities for the whole Coast and our specific communities. Gisborne District Council is preparing a Digital Enablement Plan (“DEP”) to submit to central government by mid-September. 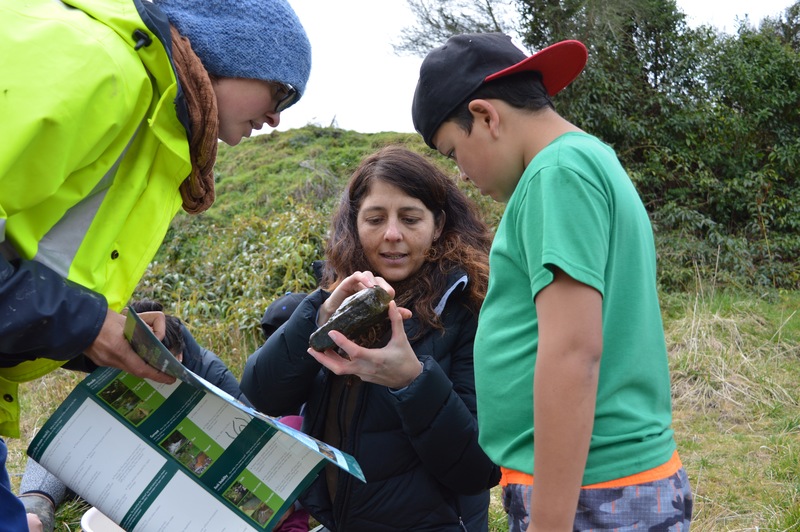 Community input on the DEP will start on Tuesday 25th August, Hikurangi Takiwa Trust is keen to ensure Coast communities knowledge and priorities help shape the DEP. The Gisborne Regional Digital Strategy will build on the good work done as part of Gisborne’s Gigatown project which had significant community support. The Strategy will cover Leadership, Community, Business, Environment and will seek to address three key issues: Affordability, Accessibility and Digital Literacy. Mobile ‘black spots’ (MBSF)’: aims to increase mobile services to tourist areas and priority areas on State Highways – funding of $50m. Government is looking to invest in areas where deployment will be relatively cost-effective, where uptake can be demonstrated to be high and where broadband services are unavailable (defined as less than 5Mbps). Council, with the support of key stakeholders, has completed the first stage of a submission for improving our digital infrastructure – a Registration of Interest – Support. Stage two of the process is to complete a Digital Enablement Plan (“DEP”). The DEP will outline the benefits of the programme funding for Tairāwhiti and how we will activate uptake. The DEP is due 12pm, 16 September. The Regional Digital Strategy will be our DEP. Regardless of the success or otherwise of the bid for government funding, the Digital Strategy will guide our digital future by setting some key priorities for action. It will refine the Gigatown Plan for Success. 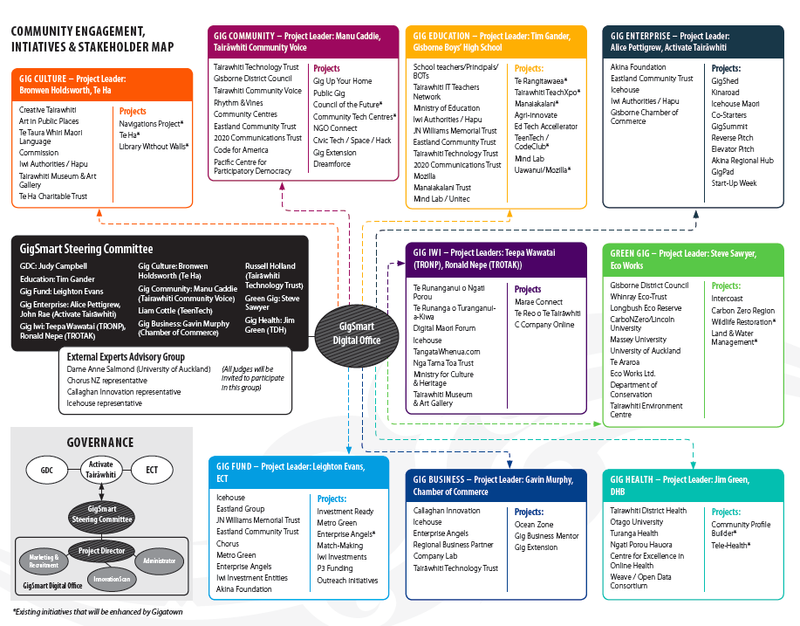 It may be useful to think about the three capability development layers used in the Plan: Infrastructure, Services & People – what should these look like for the Coast? With a national report just released showing 74 per cent of native freshwater species are threatened and the relaxing of plantation forestry rules set to cause more erosion, a hapu collective on the East Coast plans to enhance natural habitat while ensuring families based on the land can make a living. Hapu ‘kaitieki’ on top of Tutae-a-Whata near Makarika. The third Hikurangi Takiwa Trust hapu wananga of the Tieki Te Taiao o Te Takiwa project was held at Penu Pa near Makarika over the weekend. 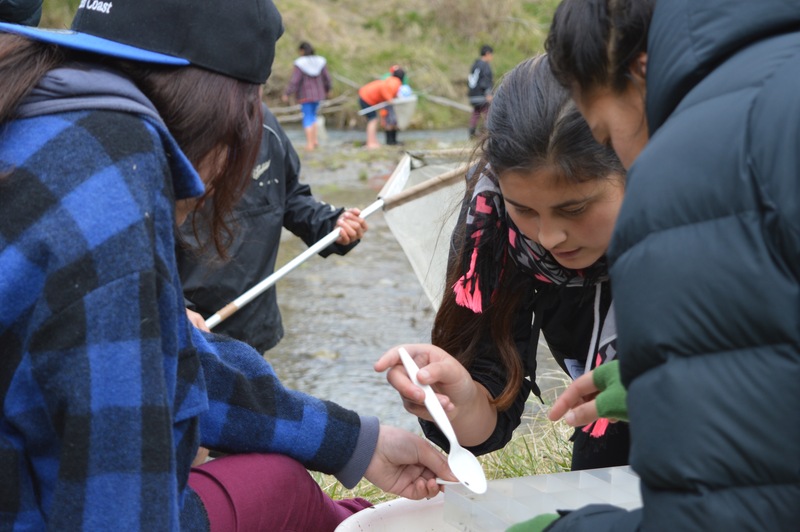 Wananga activities included measuring water quality and stream habitat, assessing the impact of soil erosion on land use and waterways, restoring native vegetation and the looking at the environmental impacts of various land uses including farming, forestry and residential settlement. Sharing stream survey tools and techniques in-situ of the Makatote Stream with students from Te Kura o Makarika, Te Kura o Hiruharama, Te Kura Kaupapa Maori o Te Waiu and Te Parekereke Mokopuna o Hiruharama was the highlight on the first day facilitated by Murray Palmer, Amy-Rose Hardy and Dr Joanne Clapcott, a freshwater scientist with the Cawthron Institute in Nelson. 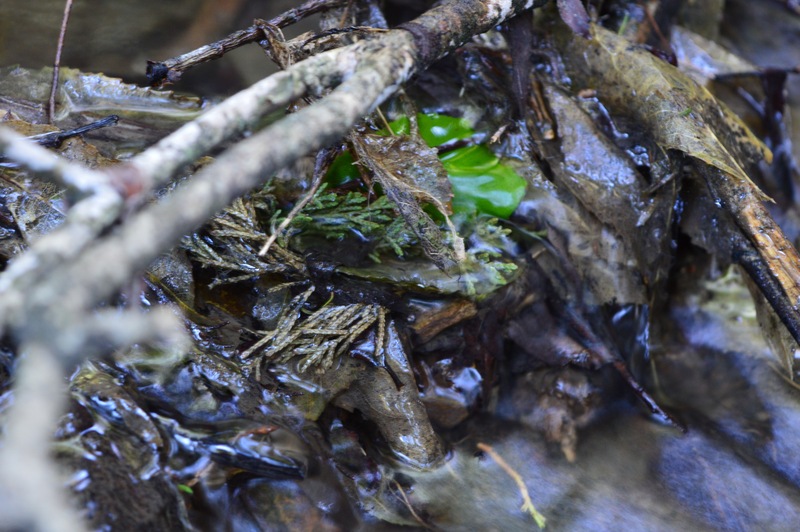 The Rapid Habitat Assessment (RHA) is a tool developed by Dr Clapcott for stream habitat assessment. It provides a straightforward way for assessors to score and areas that don’t score so well provide a clear focus for restoration efforts. Dr Joanne Clapcott from the Cawthron Institute identifying stream inhabitants with wananga participants from Makarika and Hiruharama. Wananga participants focused on a monitoring site in the Makatote Stream just below Penu Pa. With an RHA score of 72/100, areas for habitat improvement were readily identified as riparian shade, and adjacent and upstream erosion. 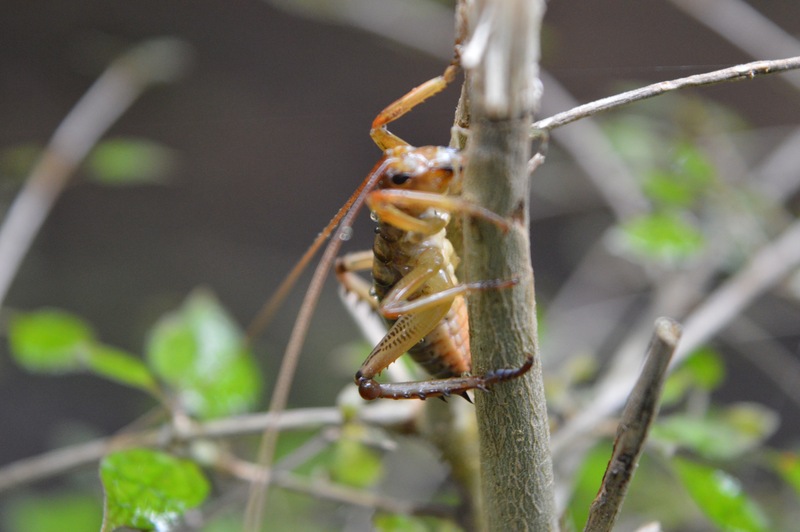 The macroinvertebrate community (stream bugs) index score for the same site was 116.4, just below the threshold for ‘Excellent – clean water’. Matauranga a hapu was a highlight of the weekend with whakapapa expert Karen Pewhairangi facilitating a role-play with participants of local historical events involving tipuna Te Atau. Nga Kuri Paaka a Uetuhiao, Te Rangitawaea and Kirimamae and their children Rongoitekai, Rongohaere and Wi o Te Rangi. Regenerating kahikatea, totara and rewarewa at Pouturu Station, Ihungia. 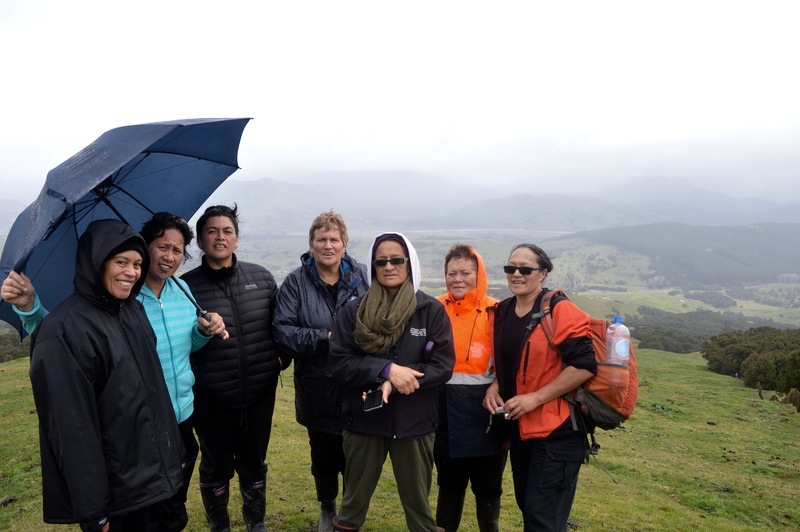 Advancing an integrated environmental monitoring program for te rohenga o Hikurangi Takiwa was a major milestone for the Trust, that works for the six pa and associated hapu in the area between Mt Hikurangi, Waipiro Bay and Ruatoria. “We are grateful for the expertise and participation of scientists like Murray, Joanne and Dr Ian Ruru” said Ms Pohatu. The monitoring program will integrate three key water quality measuring tools – the Mauri Compass developed by Dr Ruru and endorsed by Gisborne District Council, the Rapid Habitat Assessment developed by Dr Clapcott and the Cawthron Institute, and the Macroinvertebrate Community Index endorsed by the Ministry for the Environment. A digital monitoring tool with an interactive ‘touch-smart’ and GIS mapping platform is being developed as a user interface for the monitoring data collected. Wananga participants included a number of local land owners, farmers and young people. 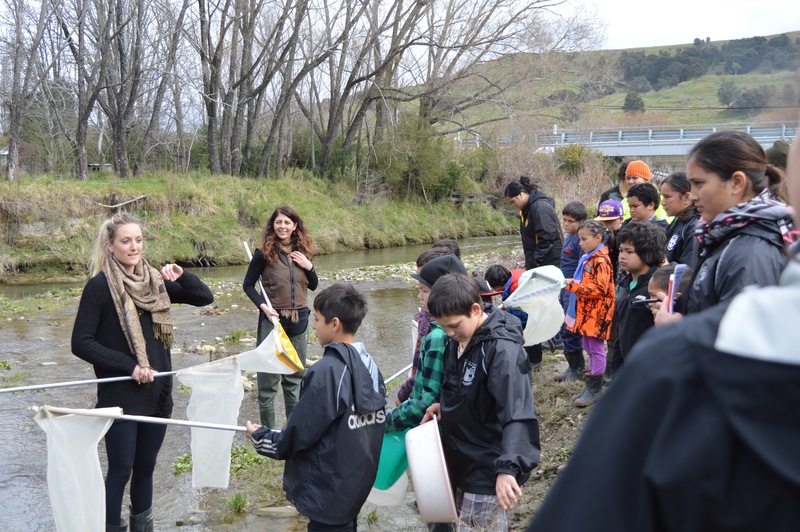 Amy-Rose Hardy instructing wananga participants on the process for gathering macroinvertebrate from the Makatote Stream. 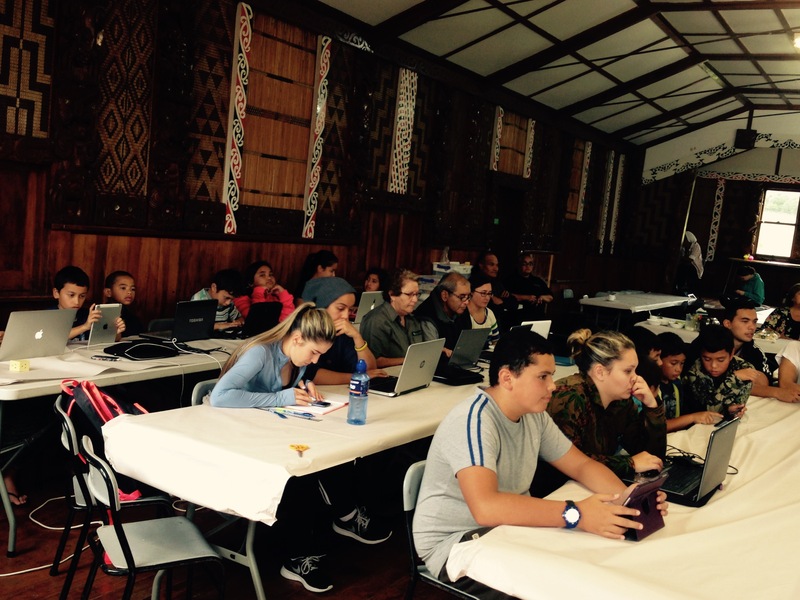 Participants spent the evenings adding sites to a growing digital database and GIS map for Hikurangi Takiwa using online services to source information that was integrated with local cultural knowledge. “GIS is a powerful and accessible tool for recording and re-presenting matauranga (cultural knowledge) that is important to us, supports lifelong learning and our aspirations, needs and responsibilities as kaitiaki” said Ms Pohatu. A Ngati Porou Wai Maori Hui was held at the conclusion of the wananga with presentations by Te Runanganui o Ngati Porou representatives and Gisborne District Council staff. Penu Pa is one of 30 marae that has access to Nati Waiwhai, a free internet service established by Te Runanganui o Ngati Porou and local ISP Gisborne.Net. The wananga was supported by the Department of Conservation Community Conservation Partnership Fund, Gisborne District Council and the Cawthron Institute. Collecting macroinvertebrate from the Makatote Stream. Wananga participants agreed on the need to develop a waterway monitoring program to assess the quality of streams and rivers before, during and after plantation forest harvesting within the hapu estate. Hapu representatives say MPI officials should follow the more conciliatory example of their Minister rather than taking offence at criticism of the poor process used to develop new rules for forestry. Mr Trotter also said MPI had given Gisborne District Council ‘ample time’ to have input into the NES wording. 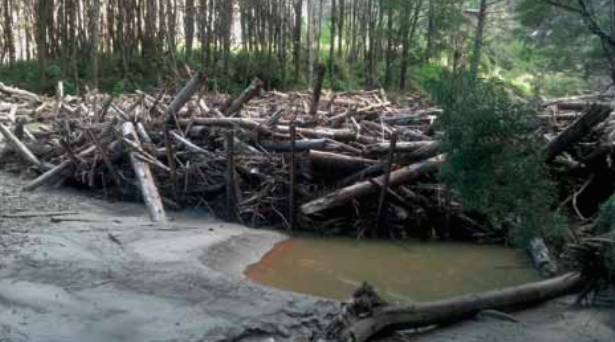 “While GDC had a staff member on the working group, they were outnumbered by forest industry representatives for whom the NES is a license to wreak more havoc and care even less for our land and waterways” said Ms Warmenhoven, who is also a researcher studying the impacts of industry on the Waiapu river. Ms Warmenhoven said it was clear when the NES was taken from the Ministry for the Environment and given to MPI that the focus was on reducing regulation and environmental protections. 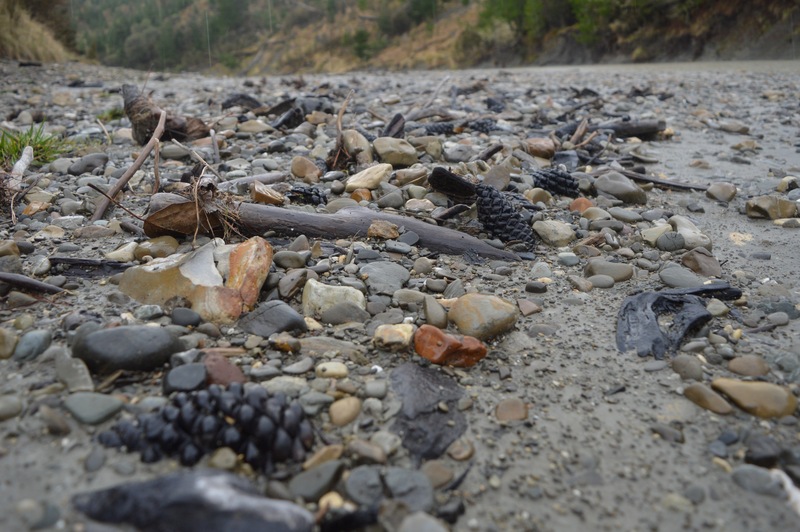 A number of regional councils have opposed the NES, especially in places like Malborough where scientific reports have shown a link between post-harvest run-off and a decline in the coastal marine environment. At least two hapu groups within Ngati Porou are threatening to take a claim to the Waitangi Tribunal if a NES is adopted that does not address the environmental concerns outlined in the hapu and council submissions. Ms Warmenhoven said, as part of Ngati Porou’s treaty settlement, the Crown committed to addressing the state of the land, waterways, and people of the Waiapu catchment, where much of the land is under Māori title. In a written statement, Associate Primary Industries Minister Jo Goodhew has said much of the land the trusts were concerned about was zoned as high risk or very high risk, under the new standard’s erosion susceptibility classification. Hapu and GDC submissions both make the point that most of the land in the district is in the high risk category and will therefore be a permitted activity as a lot of problems occur on land at less than the 25 degrees threshold. Due a number of factors beyond our control (like lambing and bereavements) some last minute changes to the wānanga programme – and this is still subject to weather and a range of other factors – but it’s still looking awesome! Hapū groups with kaiteki responsibilities under the RMA covering more than 60,000 hectares of land on the East Coast are joining Gisborne District Council in opposing proposed changes to national rules for plantation forestry, and suggesting Treaty of Waitangi breaches could result if the proposed National Environmental Standard (NES) is adopted by the government. Hikurangi Takiwa Trust representing a collective of hapū covering 30,000 hectares south of Ruatoria and Te Papatipu o Uepohatu Trust hapū representing hapū in the Ruatoria area voted earlier in the month to oppose the NES for Plantation Forestry. Large areas within the hapu estate are currently in plantation forestry and representatives from affected hapu participated in consultation hui held in Ruatoria and Gisborne earlier in the year. While a number of concerns related to the proposed NES were expressed to government officials, the hapu claim these concerns have not been addressed in the Draft NES that closed for submissions today. 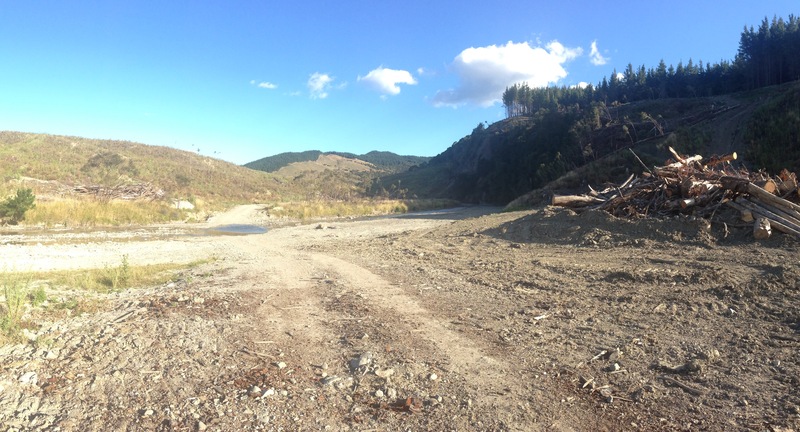 The hapu believe the proposed changes will be devastating for the district – both in terms of the life of waterways and soil conservation. The hapu have made their full submissions available here. 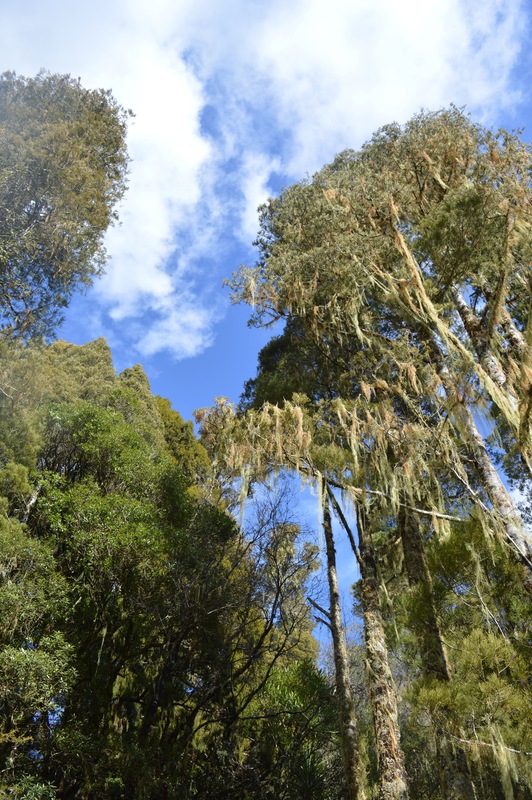 After consulting with the hapu and agreeing by resolution at a meeting of the Trustees on 2 August, Hikurangi Takiwa Trust made a submission on the proposed National Environmental Standard for Plantation Forestry – a copy of our submission is available to download here. Essentially at present the Council requires forest harvesters to have a range of systems in place to prevent debris from entering waterways (such as requiring a buffer zone around waterways so tree cutting is set back from the waterway and on slopes they have catchers to stop the stuff sliding down the hill and into streams) – and if the stuff does get into waterways then there needs to be mechanisms to catch the debris and remove it as soon as possible as the debris causes havoc to native species that live in the streams and as we know much of it can also end up on beaches. There are also rules relating to how machinery is used and how soon areas must be replanted and whether some areas should not be replanted in pines for harvest but retired because future harvesting is likely to result in massive erosion for a couple of years after harvest, etc. All of these rules are much stricter in Tairāwhiti than the rest of the country because of our unique geology and the way plantation forests were established after Cyclone Bola and the existing erosion problems we al know about. Under the NES these rules would no longer apply to most of the land in the region and we’d get a much watered down version that might suit the central plateau but not here. 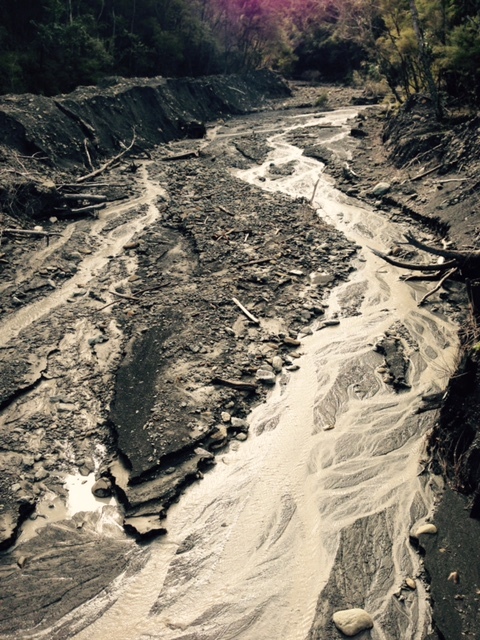 As we know the existing rules are still not adequately addressing the problems (the Council, industry, hapu reps and environmentalists) have been working on improving practices for a few years, and the cost to clean up the mess still created is increasing and being worn by ratepayers instead of the companies that make money from the process. The other major concern is at present if a region wants to be GMO free then it can be (many are), the right of regions to do this is removed and given to the EPA (which has recently had a GE proponent appointed as its chair and has no Environmental Protection mandate in its purpose or responsibilities). This is a summary of some of the main concerns, but there are a lot of technical and specific issues that are meaningful but dense. The full submission lays out the main concerns systematically with requested changes if the NES proceeds. Click here to receive an email when the Trust has news to share. 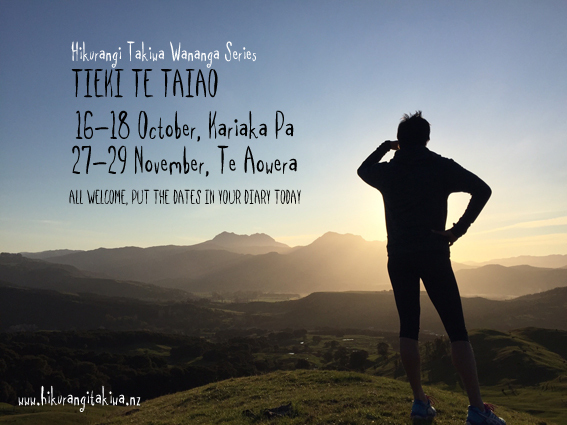 Like the Hikurangi Takiwā Facebook Page!